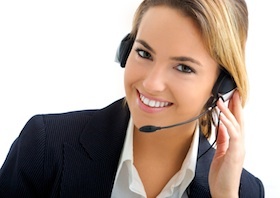 Are your clients really happy with your service? Would you like to know what 1% improvements you can make? Would you like to know what other services your customers are looking for? At Crimson Fox we've added that missing step to creating an amazing brand and discover what your customers really think of what you’re up to. We call it the 'Feedback Loop'. We asked our clients what they wanted to know about their brand and they said: "We want to know if our brand is working and if our clients perceive it as we imagine". When using online surveys only a small sample take the opportunity to give feedback. When you ask clients yourself, they’ll tell you what you want to hear. Our answer was a third party discovery service run from the studio that allows us to get direct answers to client questions by phone surveying previous customers and conveying their feedback in a 24 hour accessible online report. It's amazing what people will tell a third party about your business that they won’t tell you to your face. We've become that third party. Want to know if your customers are happy? We'll discover the truth. Want to know what else you could be doing? We can tell you. It's great to get that constructive feedback from time to time. It gives you a platform to build on and it keeps your team sharp and on their toes. Not only are 'Feedback Loop' clients now receiving valuable information for improving their customer experience, but they are also getting direct referrals from the process. That's right. This communication channel is actually becoming a lead generation channel for many of our customers. Increase referrals. Ask us how. Let us do the hard work for you so you can get on with the business of business.